I hope you enjoy these mp3 VTPO Theatre Organ recordings which were created using Hauptwerk VTPO Virtual Pipe Organ Software, and the Milan Masterworks 3 manual 31 rank VTPO Digital Theatre Pipe Organ Samples. The process of converting my organ to VTPO is in its early stages, so the results may seem primitive. 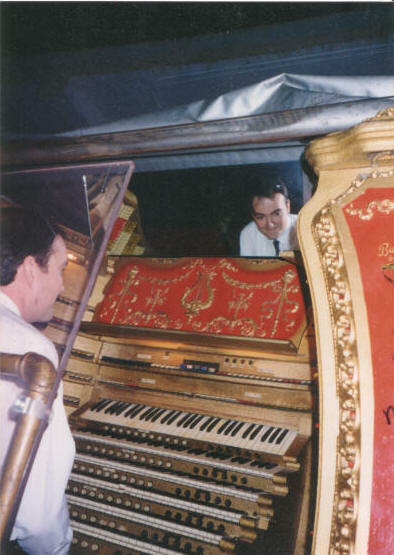 My intention is to provide sample recordings at various stages of the implementation process, and to encourage others get started on the process of having the sound of the Mighty Theatre Organ in their home. Also please take advantage of the Virtual Theatre Organ Registration Classes Availaable on this Site.